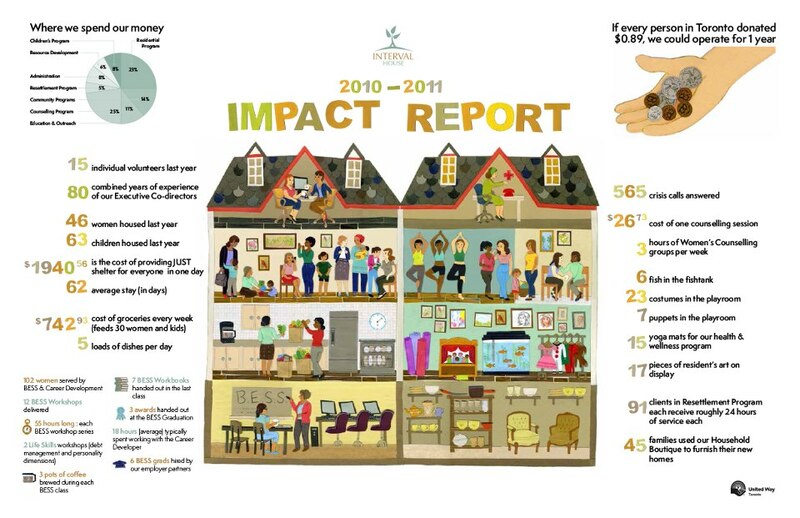 Back in December, I worked with the amazing people at Agents of Good (John Lepp and Jen Love) to illustrate an infograph for Interval House woman's shelter. John and Jen are so wonderful to work with and I think it's their caring, positive energy that make the work produced really great! 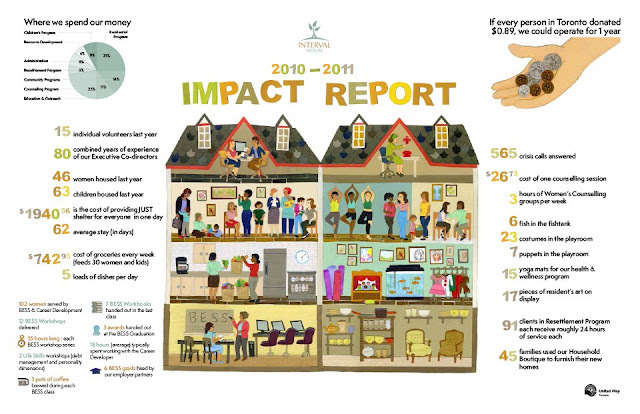 I have to say I'm very happy with how this impact report came out. I love that it's a nice blend of storytelling and numbered facts. Be sure to click the image to see it larger. This is my latest Today's Parent illustration for the January debate. This debate was on whether or not you let your toddler watch tv. You can read both sides here. I'm always thrilled to work with the art directors over at Today's Parent Magazine on these commissions!